PicsArt Photo Studio is the place where everyone becomes a great artist! It is the most popular free mobile photo editor with over 100 million installs, one of the fastest growing photo artists’ social networks and galleries of artwork. Users are constantly discovering new ways to unleash their inner artist using this app. PicsArt is an amazing Android app using which you can create lots of graphics, animated pictures, different types of pictures and do almost all kinds of photo customization which you can do on your PC using any software. PicsArt is a very powerful app but it’s not officially available for PC. The app is available for free on the Google play store and I’m sure you’re going to find it extremely useful if you want to edit photos on the go. The app already got millions of installs and its reviews says it all. You need to go through following steps to get this app on your PC. You need to first check that your PC has got latest version of graphics drivers otherwise this BlueStacks app won’t work. 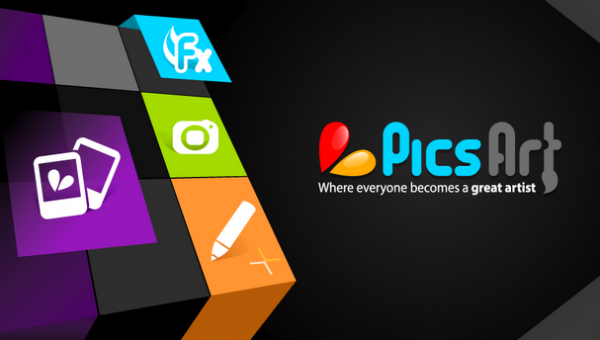 Use BlueStacks search tool to find PicsArt Android app. You’ll find it on Google play store. Install the app by following on screen instructions. That’s all you need to do to get PicsArt for PC or Windows computer free download. Hi There, am trying to download Picsart 4.5.5. version onto Windows PC Version 7. Can't find it for downloading. Sir when i started using picsart on pc using bluestacks all was running smoothly except the thing dat images r not getting saved on pc. Even if they get saved they seen to be half edited n half blank. Plz see to this issue as soon as possible sir. Can’t find it for downloading. i just finished downloading picsart, pls how does it work or how can i make use of it? How to download pics art for windows 7 🙁 ?? HI guys,,, I’m Raju. I”m Using the PC windows 7. I want to do Download the ‘PickArt’.But i can does n’t download the app. So, Please tell me how to download the app for PC Windows 7?